a couple of years ago i bought this book. i didn't know how to knit, nor did i really think it was something i was going to pick up, having tried to learn on several occasions to disastrous results. at the time i didn't even know what a great knitter silvija was, but there were so many cute things in the book i just couldn't resist. i figured someday i would meet someone who could knit and the book would be useful then. 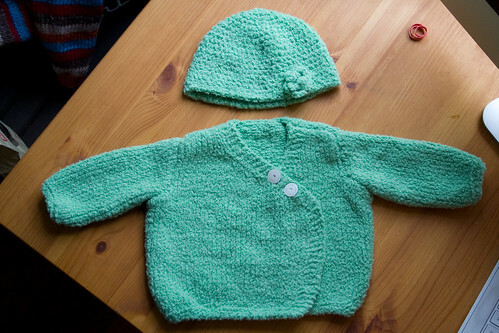 in fact, my auntie helen borrowed the book and knit this sweater for cohen from it a couple of years ago now. last time i knew cohen was going to be a boy so i didn't entertain the beautiful dresses in the book, but this time i couldn't resist. by far the cutest was the dress you see above. it is intended to be a summer dress but with a pair of white tights and a long sleeve white shirt could easily be a spring/fall dress. i was in love with the picture but hesitated to ask silvija if she would make one for me, what if it is just a waste of her time, what if this one is a boy (which it very well might be), but when i brought it up with her she was very enthusiastic and agreed. finding red cotton at this time of the year proved to be the challenge. we went to ten different wool shops in town with no luck. it was all pastels and creams. silvija tried to talk me out of red, maybe a yellow? she would say, but it just wasn't going to be the same. so it was with great glee that i came upon two balls of red left over from christmas at an obscure crafting shop in steveston that we just happened to be passing. silvija can't knit from a pattern so she did this one and the adorable mary jane slippers (also from the book) from a picture. if i am ever having a bad day i just have to pull this dress out and look at it for a minute, it cheers me right up. i guess soon we will know if my baby gets to use it in the end. if not it will make a fantastic gift in the future. this one i came up with in my head and described it to silvija. i wanted something japanesey (that one is for you laish) that could work with a boy or a girl. i wanted white square buttons, but silvija came home from dressew with these ones which are decidedly feminine (rhinestone and all). i still think i might change the buttons, i just haven't gotten around to it yet. as you can see the hat also has a flower on it. the flower is fastened loosely for easy removal or tightening from the back. so why did she make it so girly? well the truth is that silvija is gunning pretty hard for a girl (which is why she was so eager to make the dress). 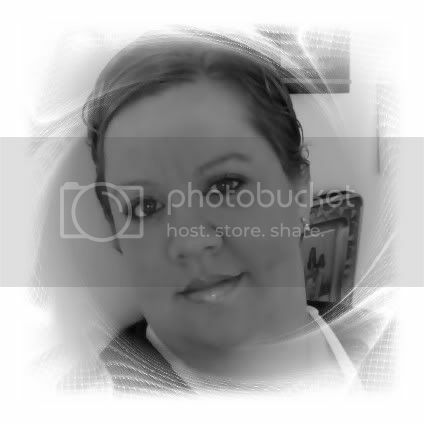 you see her and her sister both had two boys a piece and ever since she has longed for a little girl. i can only imagine the knit dresses and sweaters of the future if this baby does prove to be a girl! i get excited just thinking about it. 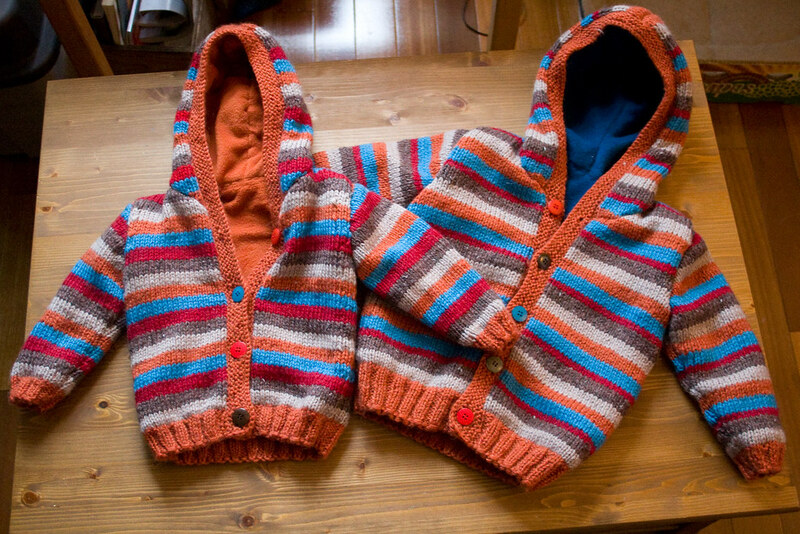 these last two were the crowning glory of the 2008 knit off for me. when i was a child my grandma (who was a fantastic knitter) would make my brothers and i matching sweaters. we would stand awkwardly in front of our house squinting into the fall sun as my mom took snapshots of us in our bright red or mustard sweaters. it was a tradition of sorts. i don't know about my brothers but i remember those moments clearly, the itchiness of the sweater, the way the cable felt under my fingers. marko laughed at me when i told him i wanted them to have matching sweaters. i think he thought it was silly, until i told him about my grandma, about the snapshots, and then he understood. so here they are, cohen and his soon to be new siblings first matching sweaters, hooded and fleece-lined to boot. i suspect they will be coming to a christmas card near you. of course there were other things. a new hat for me and one for cohen. a hat and scarf for my mom made out of an old sweater of hers that my grandma knit 30 years ago ( i had been dragging it around with me for more than a decade hoping one day to make it into something new to remember the old). a new toque for atticus and a sweater and hat for avner (both striped because everything is better with stripes). new toques for aaron, laisha, jonah, and my friend dreena's baby riley, and in between all that she managed to knit herself a new sweater as well. her talents are amazing. we are all missing her terribly now that she is gone. cohen keeps pointing at her picture and smiling. only ten more months and she will be back, we can't wait. Very talented knitter. How long was she there for? She knitted so much!! Can't wait to see Cohen and the new baby wearing matching sweaters! My parents have hundreds of photos of my sister and I in matching clothes! So cute! wow. all those little homemade fashions. almost makes me want a baby of my own. almost. now this baby is obligated to be a girl, oh my word that dress and the booties oh my word oh my word!!! oh, and I look at silvija's picture and smile too. She has the kindest eyes. how exciting, hey when are you due again? claire she was here for just over two months, so a long time, but she is also a super fast knitter. sara i am due on april 5th (or 6th depending on which source you look at). 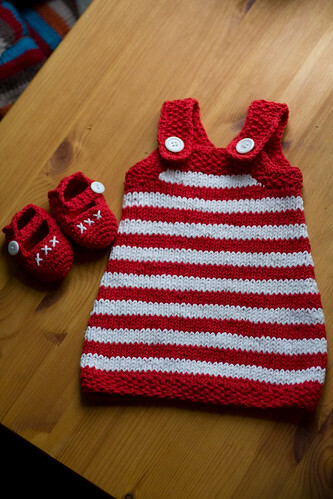 those knitted items make me cry, they're so wonderful - tears..really..so lucky.